The Weekly Wrap. The most important, impactful and interesting news stories, ideas, cultural trends or just plain-old fun and oddball items I found this week. More than 3 million people voted last week in Scotland’s independence referendum. Officials said it was a record turnout of more than 84 percent of registered voters. In total, 58 percent of the nation’s entire population voted. Your thoughts? Is there any issue in U.S. that could create 97% voter reg and 80% or more voter turnout as we see in Scotland's #indyref? The responses were nearly unanimously split between the Second Amendment/gun ownership/gun control and Texas secession. @TheMattComer No. Not even gun control as some have suggested. As a nation, we're too apathetic. We like to complain, but we don't vote. A couple weeks ago, I wrote a brief note on the then-upcoming “Star Spangled Sunday” event hosted at Charlotte’s First Baptist Church on Sunday, Sept. 14. The event was sponsored by the Family Research Council, a far-right, extremist, anti-gay group the Southern Poverty Law Center has named a hate group. 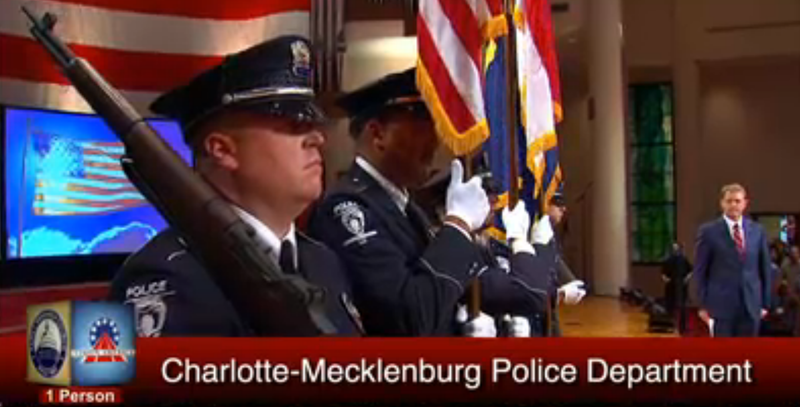 …and the Charlotte-Mecklenburg Police Department, whose color guard helped open the event. Is this normal policy? Does CMPD’s color guard go to any event to which it’s invited or requested? Did CMPD do any research on the group’s and leader’s involved or what the content of the event might be? Is local government comfortable knowing its men and women in blue were associated with extremist anti-gay, anti-Muslim and other hate-filled speech? Some snippets below courtesy Right Wing Watch (you can see RRW’s coverage of the event here). Perkins served as a state representative for eight years, starting in 1998. 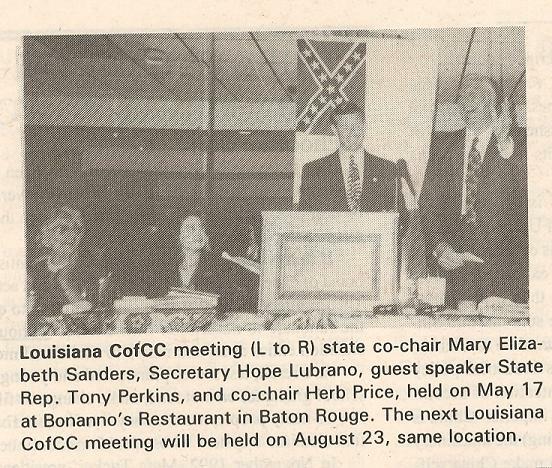 On May 17, 2001, he gave a speech to the Louisiana chapter of the Council of Conservative Citizens (CCC), a white supremacist group that has described black people as a “retrograde species of humanity.” Perkins who addressed the group while standing in front of a Confederate flag, claimed not to know the group’s ideology at the time, even though it had been widely publicized in Louisiana and the nation. In 1999 – two years before Perkins’ speech to the CCC – Senate Majority Leader Trent Lott had been embroiled in a national scandal over his ties to the group. GOP chairman Jim Nicholson then urged Republicans to avoid the CCC because of its “racist views.” On the FRC’s website, Perkins does not mention this scandal, instead claiming of his political career that “he is recognized as a legislative pioneer for authoring measures like the nation’s first Covenant Marriage law.” Perkins served two terms in office, leaving the state Legislature in 2004.